The Krehbiel Krew: December...its been a busy month!!! December...its been a busy month!!! 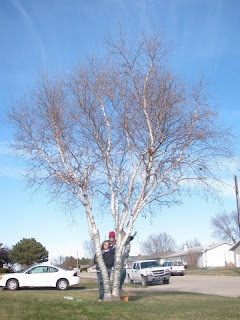 The first weekend in December I took the kids up to Nebraska to visit my family. 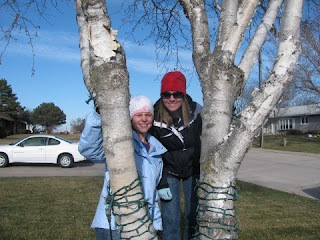 Some of our highlights from the weekend included a trip to see Grandma Evelyn on the farm and a Christmas light tour through Candy Cane Lane in Lincoln Park and around Superior. The kids LOVED the christmas lights!! 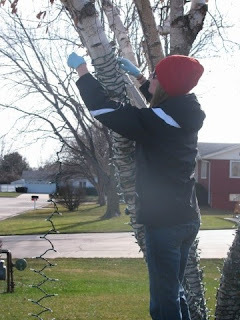 I also was able to help my dad and sisters hang christmas lights outside my parents house. 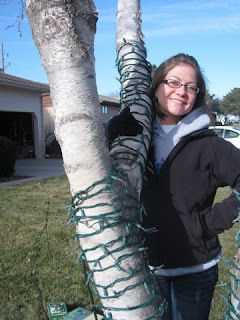 It has been almost ten years since I've been home to help hang the lights! It has always been a tradition to wrap the tree in the front yard with as many christmas lights as possible. My dad is the poor soul that gets to unwrap the tree afterwards...but he never seems to mind :) Here are few pictures from christmas light hanging. 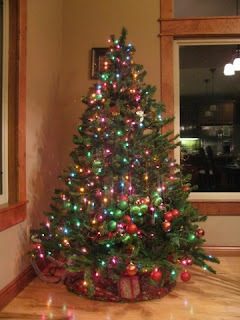 Since it has been so busy this holiday season I was VERY late getting our tree up and decorated. I decided to let the kids decorate the tree this year. They were very excited!! 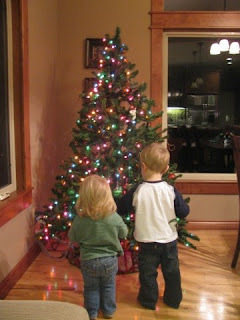 I showed them how to hang the ornaments on the tree branches then let them take over. Jak quickly became a pro..but Eva just couldn't quite figure it out. 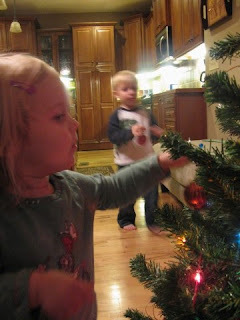 She decided that she would just hand Jak the ornaments to hang up. They were quite the team! 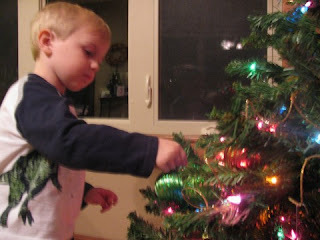 Even though all of the ornaments ended up in a small cluster at the bottom of the tree, it still looked good! Jak and Eva were very proud of their work!! and the finished product...if you look close, you can tell all the ornaments are at the bottom! One last note..... it looks like we have one more thing to be grateful for this christmas. Baby Krehbiel #3 is due in July!! !